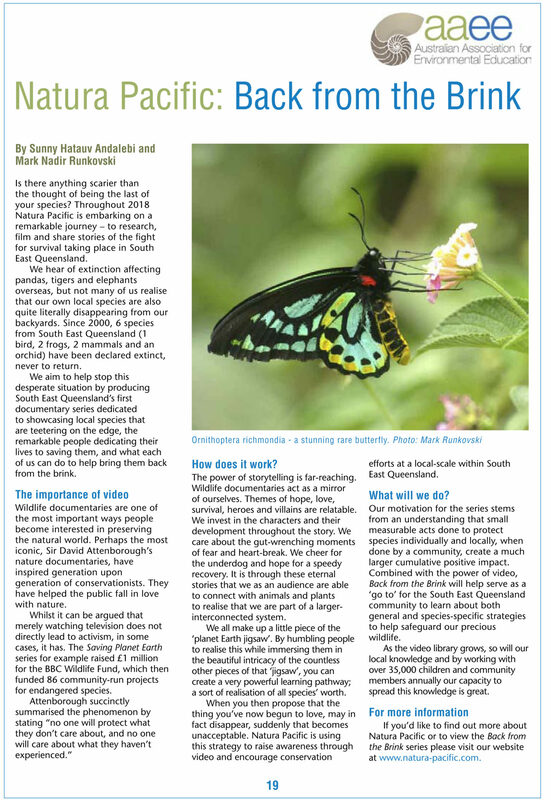 Home / Articles, Education, Environment, Latest News, Local Interest / ‘Back from the Brink’ is in the News! 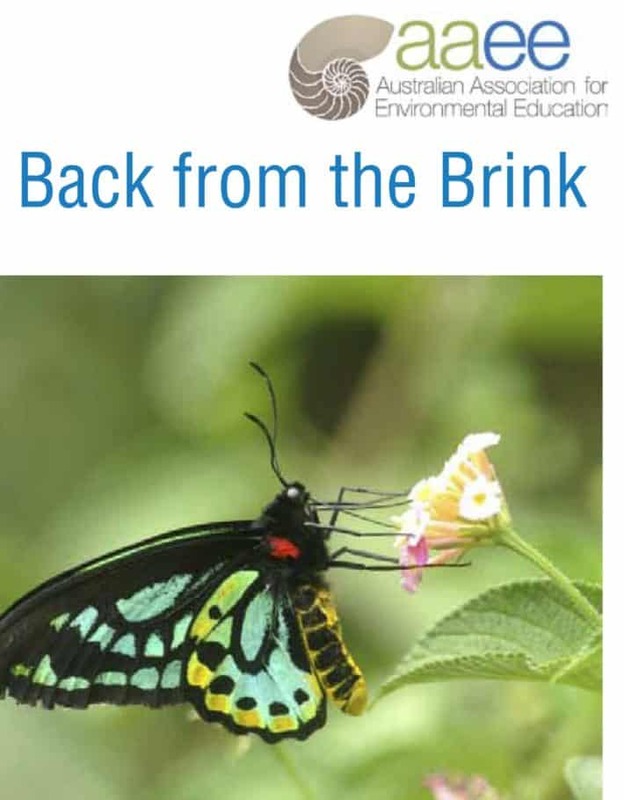 We were very proud to have an article about our video series ‘Back from the Brink’ published in the September issue of ‘ozEEnews’, the newsletter of the Australian Association for Environmental Education Inc. To find out more about this inspiring organisation take a look at their website here. Here’s hoping that this exposure will help our videos reach a wider audience and help to further increase awareness about the plight of threatened species.